From the sun-drenched desert valleys of Baja California, not far from the soothing breeze of the Sea of Cortez, comes this truly unique blend of extra virgin olive oil. Extracted from two of the finest Spanish varietals, Mission and Nevadillo, this olive oil has a silky golden-green texture, a smooth taste with a mild peppery finish and a captivating fruity aroma; an ideal companion for salads, fish, chicken, pasta and fresh bread. 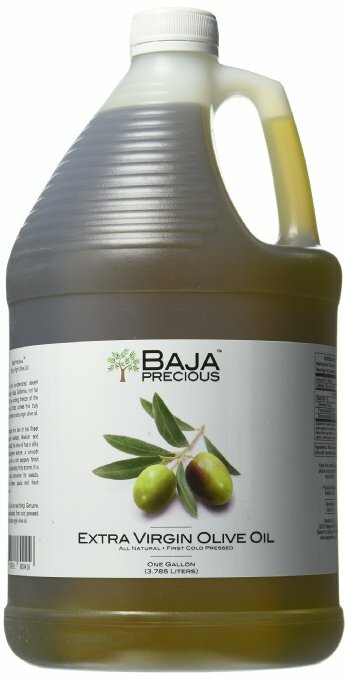 Brand: Tags: Baja	Precious	-	Extra	Virgin	Olive	Oil	from	Baja	California,	1	Gallon	.